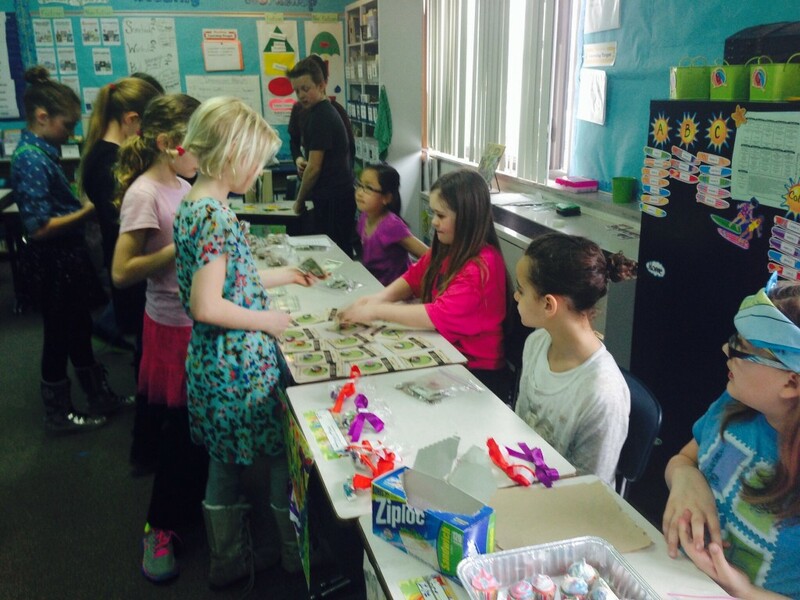 Market Day, Read-a-Thon and more! Wow! What a great week this has been! WE have certainly accomplished a lot! Math ~ We have completed our first Unit of Fractions! We will be diving right in to more fractions concepts next week as we start another unit on fractions and decimals. At this point your child can add and subtract fractions with like denominators, convert improper fractions to mixed numbers and mixed numbers to improper fractions and can multiply fractions by a whole number and fractions with like denominators. Whew! Hang on to your hats as the concepts will become more complex next week! d on their Informational books. These were created using the Book Creator app on their ipads. The students then uploaded their books to drop box and were able to download each others books on to their iBooks shelf on their ipad. 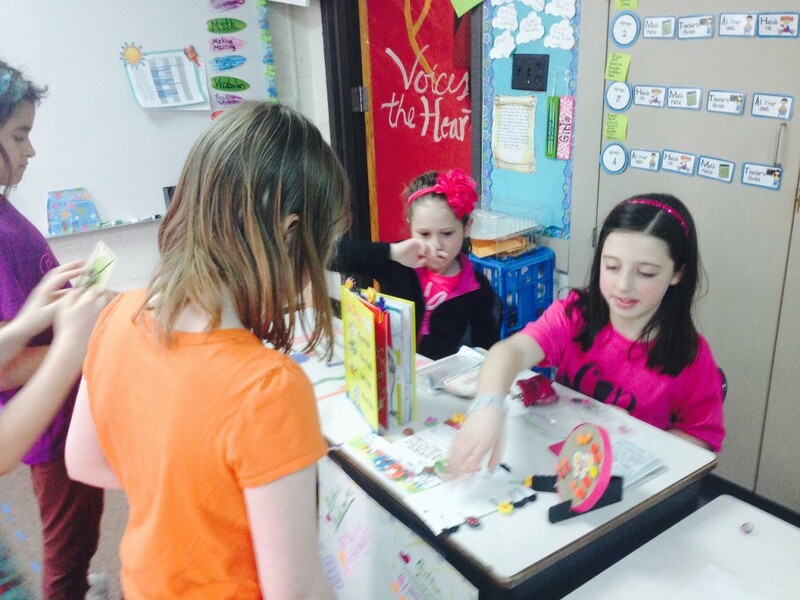 Your child should now have a bookshelf full of student authored informational books. Ask your child to not only share their own book with you, but also the other student’s books. We have also shared our books with Mrs. Sheridan’s class, Mr. Trask’s class, Mrs. Jettner’s class and the other fourth grade classes at Holmes too! Talk about authentic audience! Reading ~ We have begun our Non Fiction studies. We have learned how to “rev up” our minds for reading informational text and we have learned how to use “boxes and bullets” to take notes that summarize what we have read. We will be working on non fiction reading comprehension skills for much of the rest of the school year. Please encourage your child to read some non fiction at home too! 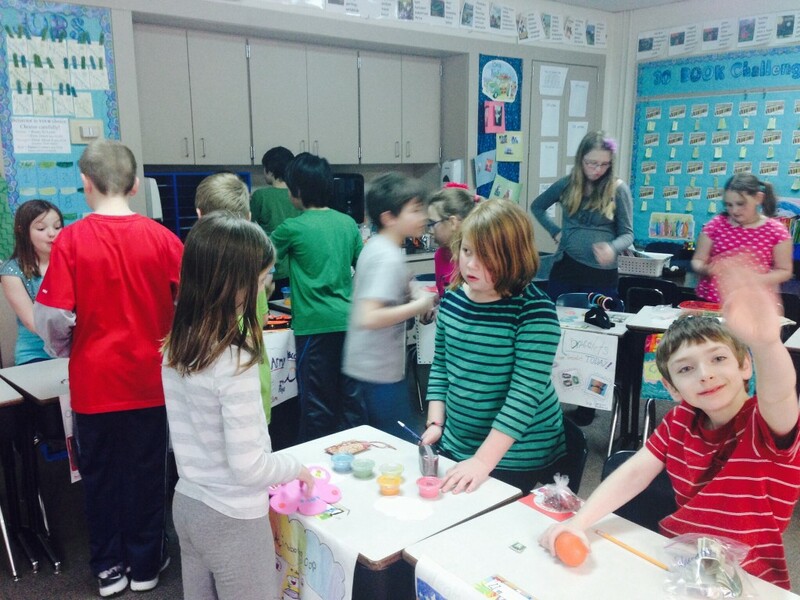 Social Studies ~ We have ended our economics unit with a very successful Market Day! The students enjoyed selling and shopping. Today we did our accounting and talked about what we learned. Your child will be bringing home their profits (if they had any) today. What a great Project Based Learning activity! Remember next week will be a 4 day week with Friday off for Spring Break! Hopefully it will warm up soon! We have been busy maximizing our learning in Room 16!! Math ~ We have started our 1st of two fraction units. We began with a review of fraction concepts from third grade, and moved on to the fourth grade concepts. These are tough concepts that often take more time and lots of practice. We are making good use of our basic math skills as we add, subtract and multiply fractions and mixed numbers. Thank you for continuing to support your child with homework each night! Writing ~ We are putting the final touches on our informational books. We have been using Book Creator on the iPads to publish our books. Once our books are completed we will be sharing them with each other and you via email and iBooks! This week we worked on drafting introductions, conclusions and the creating the glossaries for our books. Reading ~ We have finished reading The Lightning Thief, and have completed our discussions about the Fantasy genre. This week will we discussed the themes of the story, good vs. evil, complications of characters, archetypes, and stereotypes. Social Studies ~ As part of our Economics study, students will have a vocabulary quiz next Tuesday. Your child will be bringing home a vocabulary wheel tonight to study from. These are the terms your child will need to know for the quiz. The quiz will be multiple choice. 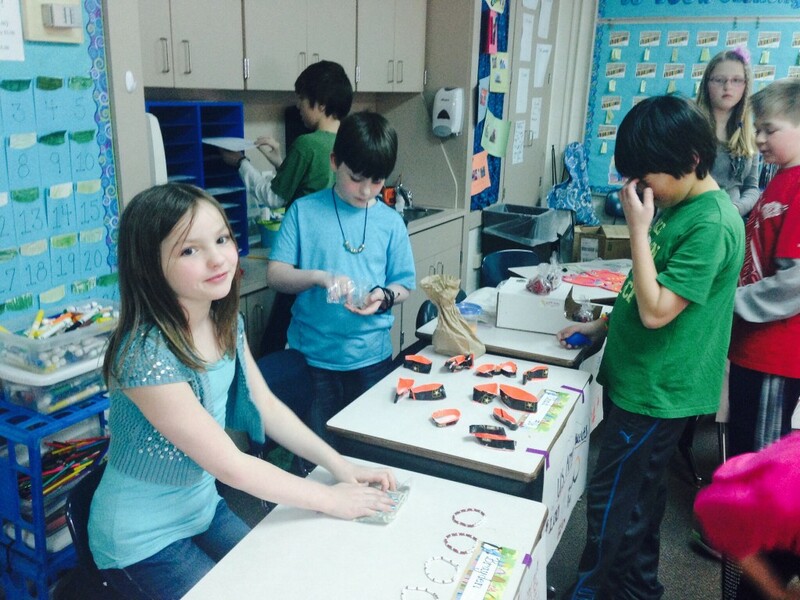 Market Day is on Thursday, March 27th. This week we completed our product posters in class. Your child will be making their 60 second commercial at home this weekend using their ipads and will need to complete the “goods” that your child is producing and the worksheet that documents costs of the product. These items are due on Market Day (March 27th). Watch for your child’s report card to come home on Monday, March 24. Included with the report card will be your child’s MEAP results. As you recall, the MEAP was taken in October and tests concepts up through third grade. Please return the envelope with a parent signature so that we can verify that you received the report card and MEAP results. The all school Read A Thon will be held next Friday, March 28. Any pledges are appreciated and should be turned in on, or before, that day. Thank you for encouraging your child to read extra this month and to keep track of their reading passports. Have a great weekend! As always please email me if you have any questions!